When Lisa Durrant was successfully drawn to take part in the half-time challenge she was unable to take part due to a foot injury, however her son was only too happy to step in and help. He took on Peeby and scored at the Rochdale game on 12th January, netting himslef £100 in club shop vouchers! 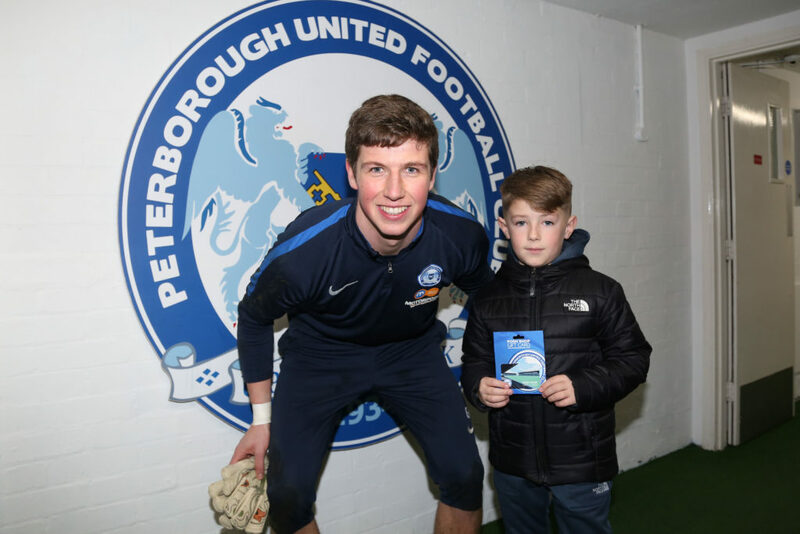 He was presented with the vouchers by goal keeper Conor O’Malley at the Charlton Athletic match on 26th January.